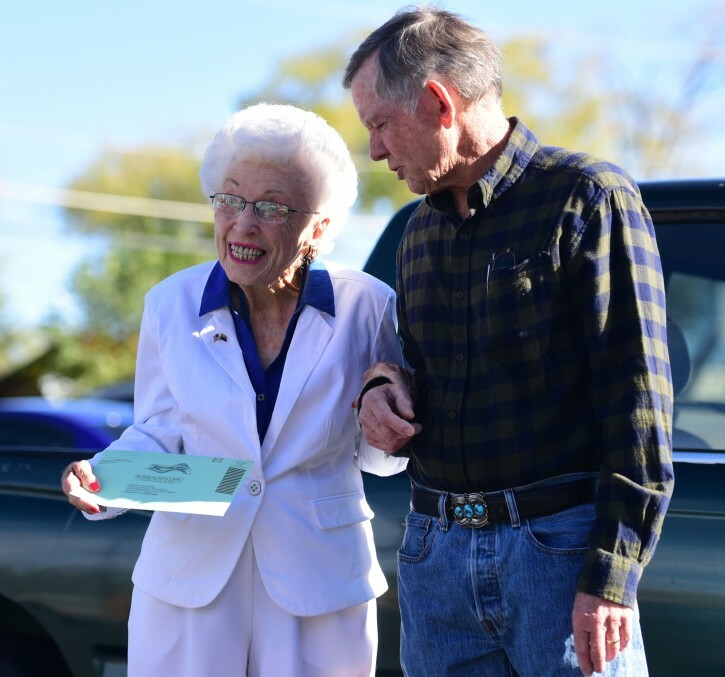 Prescott, AZ - A 102-year-old Prescott, Arizona, woman born before women gained the right to vote in America has cast her ballot early and voted for Democratic presidential candidate Hillary Clinton. Jerry Emmett is urging other Arizonans to follow her lead and use the state’s early voting system. As an honorary delegate for Arizona, she announced the state’s delegation was casting 51 of its 85 votes for Clinton for president. Emmett remembers seeing her mother go to vote for the first time after the 19th Amendment guaranteeing women the right to vote was ratified in August 1920. The retired educator says she’s been waiting her whole life to cast her ballot for a woman and has been eager to vote for Clinton, who would be the nation’s first female president. Why is this news, im sure plenty 150 year olds cast votes for her too. this is not news! please stop pushing your pro-Hillary agenda. The out of mind old lady decided to pay back her kids back for all the bad stuff they did to her, like putting her in the nursing home! "this is not news" 102 year old woman walking to vote first time in 100 years for a woman in the WH is not news. The real news is whom will someone sitting in Brookly collecting welfare, Medicaid etc will vote for. Just read her name EMMET TRUTH Emes in Yiddisch in case you didn't learn English. What does she care, she won't be around to see the damage HiLIARy would inflict! Why? Because she's a women? Jeez that's a good reason.